Most home inspectors are single operators who one day decided: they wanted to be a home inspector. Our inspectors go through a detailed selection process to determine if they have the personality, disposition, desire and communication skills to be a professional home inspector. And because few home inspectors begin their working careers in the profession, we make sure that their previous work or professional experience will enhance their skills once they enter the field. Finally, all new hires go through a criminal background check. Where do single operators get their training to become home inspectors? The last home inspector we hired had over 14 years of experience in the trades. Despite that, he was put through the most vigorous home inspector training program available- ASHI@Home. He also performed over 400 training inspections before he completed his first independent home inspection. Because our industry is constantly changing, our inspectors routinely attend nationally recognized continuing education events. During our company bi-weekly staff meetings, more than 50% of the time is devoted to educational updates and refreshers. Our company has developed many rules, policies and procedures during our nearly three decades of operation. We determine the best way to do something, commit it to policy and routinely verify that each inspector is doing it right. A supervisor regularly assesses each inspector’s field performance and reviews the inspector’s reports. These longstanding procedures keep our inspectors sharp and if a mistake is made, we want it to be a new one. Unlike single operators who tend to discourage or simply ignore criticism, if anyone involved in the real estate transaction has a problem with the performance of our inspectors, we encourage them to contact the inspector’s supervisor. And since everyone can use a pat on the back; compliments are appreciated as well. According to the American Society of Home Inspectors, the average home inspector does 258 inspections a year. Our inspectors perform 500 to 700 inspections a year. They can do this because they only do inspections! Someone else answers the phone, schedules the work, markets the company, does the bookkeeping, makes payroll and pays the taxes. Since all of our inspectors have completed thousands of inspections, our first support system is each other. Uniquely to HBI, we have contracted with Kenny Hart, a nationally recognized expert in the home inspection industry and a contributing editor of the ASHI@HOME Home Inspection Training Program. Kenny assists in the training operations of the company and is available to our inspectors for daily technical assistance when needed. He regularly speaks at local and national training events throughout the U.S. and Canada. Contact him directly at (800) 643-6683 or at theplumbingandhvacguy@gmail.com. 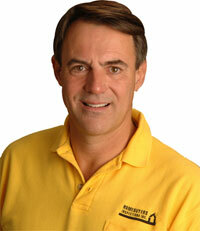 Jack started Homebuyers Inspections, Inc. in 1982. He is an ASHI Certified Inspector and has been a member of NAHI and NACHI as well. He has been performing home inspections longer than any home inspector in our service area. He received a Bachelor' degree in business administration from Old Dominion University in 1976. He has been awarded a one year certificate in Industrial Engineering and has completed thousands of hours of study in home inspections and trade related topics. Jack’s previous work experience includes working as a Project Manager for an Architectural and Engineering Firm, an Industrial Systems Analyst and as an Industrial Engineering Technician. These experiences have proved invaluable since Jack added commercial property inspection to his company's list of services. Jack has had numerous articles published in real estate magazines and regularly makes presentations to real estate groups. 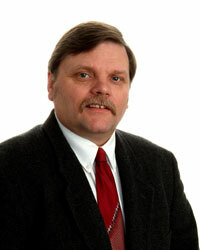 He is currently teaching real estate continuing education classes held at Alpha College of Real Estate. He has been a presenter at home inspector and trade association events. 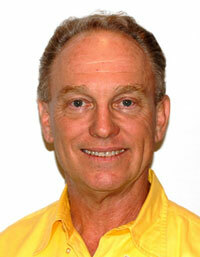 Skip has been with Homebuyers Inspections, Inc. since 1995. He is an ASHI Certified Inspector and has spent many years as a building contractor, renovator, and inspector of government owned homes before joining the Homebuyers Team. As with all of our inspectors, he has performed thousands of home inspections throughout the area. He has served as the Vice-President of the Hampton Roads Chapter of the ASHI, was a member of NAHI and NACHI, and has a degree in mechanical engineering. 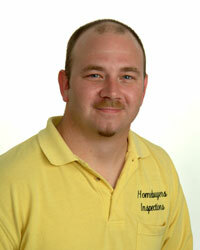 Deryl is one of the best trained home inspectors in our area. He is an ASHI Certified Inspector and has been a member of NAHI and NACHI as well.He has over twenty years experience in the residential construction industry. Before joining our team, he owned a remodeling contracting business for eight years. Formerly a senior member of our inspection team, Kenny Hart consults with HBI on technical issues. He regularly makes presentations to home inspectors, tradesmen and real estate professionals throughout the U.S. and Canada. He has authored numerous articles on plumbing, HVAC and gas fitting and has made technical contributions to the ASHI@HOME Home Inspector Training Program and to articles found in Popular Mechanics. He oversees the training operations of Homebuyers Inspections, Inc..
Kenny has served for three years on the Technical Committee for the American Society of Home Inspectors including one year as the Chair. He served on the Membership and Standards Committee as well. He is the former President of the Virginia Association of Real Estate Inspectors and the Hampton Roads Chapter of ASHI.